Winnipeg has four seasons: hockey, hockey, playoff hockey, and warm winter. The city is famous for its cold winter, windy intersections, and it’s hockey history. Players like Andy Bathgate, Bill Mosienko, and Mike Keane, as well as current NHL stars Jonathan Toews, Alexander Steen and Mark Stone, were all born in Winnipeg. The first ever Olympic gold medal in ice hockey was won by the Winnipeg Falcons. So yes, Winnipeg loves hockey. And as a result, there are many great places to get the latest news and updates on your Winnipeg Jets. We’ve gathered the top ones and put them together in this social media guide. The main source for everything Winnipeg Jets is the official NHL.com website. You can get the latest scores, transactions, and stories. Tickets to our home preseason games are on sale now! And follow them on Instagram @nhljets for great stories all year-long. I am honored to be the captain of the @NHLJets . Looking forward to getting this group together in October! There are many places to get local coverage for the Jets. The two biggest are the Winnipeg Sun and TSN1290. The Sun has local writer Paul Friesen covering everything Jets related. On the TSN side of things, they have multiple reporters covering the Winnipeg Jets, and they all keep Twitter updated with the latest new. This includes Gary Lawless, Rick Ralph, and Andrew Paterson, as well as television broadcasters Dennis Beyak, Shane Hnidy, Paul Edmonds, and Brian Munz. 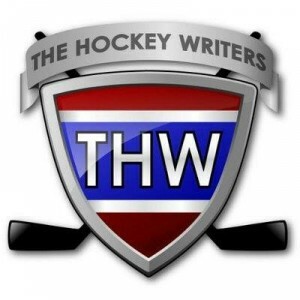 The Illegal Curve are an independent sports media company dedicated to bringing you the best coverage of the Winnipeg Jets through the website, radio, and podcasts. You can hear the team on TSN1290 from noon – 3pm every Saturday during the season. The team consists of Dave Minuk, Drew Mindell, and Ezra Ginsburg, all active on social media. A great place for game-day previews and reviews. Arctic Ice Hockey is a part of the SBNation and a good source for everything Winnipeg Jets. You can also find them on Twitter. Of course, keep following The Hockey Writers for all the latest information on the Winnipeg Jets and the rest of the hockey world. THW is on Facebook and Twitter and we have a dedicated team of Jets writers including Sean Olinkin, Rob Mahon and your’s truly, Judson Rempel. Do you know any other amazing sources for Winnipeg Jets news? Let us know in the comments below.